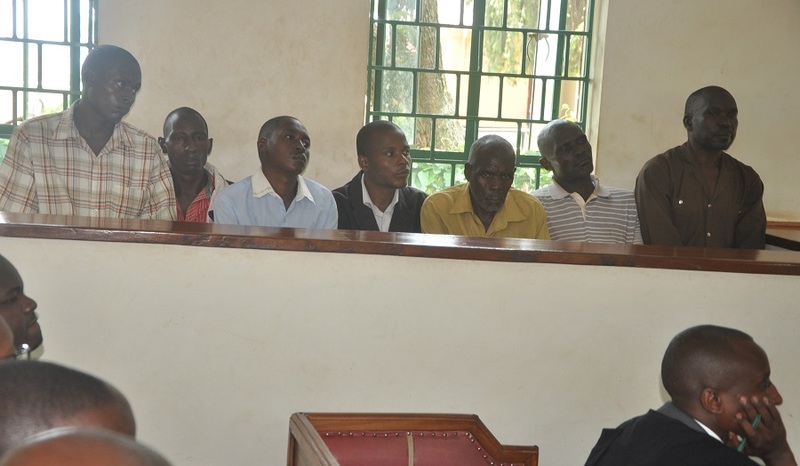 Clouds of darkness hit Mubende courtroom at 1PM on November 23rd and turned into a grieving moment for families of the 5 community land rights defenders who had gone to receive their breadwinners instead they were given a prison sentence of 34 years on charges of murder and aggravated robbery. Prosecution alleged that on 17th/07/18 Ssemombwe Richard, Ategeka Esau, Bukenya Godfrey, Ssebanenya Yona, Sinamenya Paula, Kaberuka Fenehansi and Sserugo Sam at Butolo village, Maduddu sub county in Mubende district, with malice aforethought, unlawfully caused the death of Tumwine Stephen. Tumwine was a manager of Formasa Forest Company, a 100% owned by Chinese. According to court documents, the trial was conducted without the arrest of real culprits that carried out the murder. 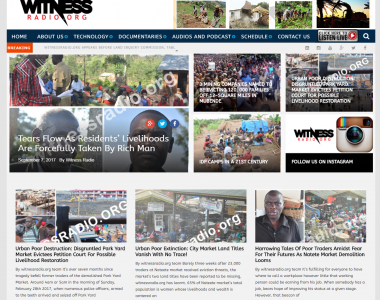 Tumwine was killed in cold blood while cutting down one family’s garden that hadn’t been compensated by the company for its land. 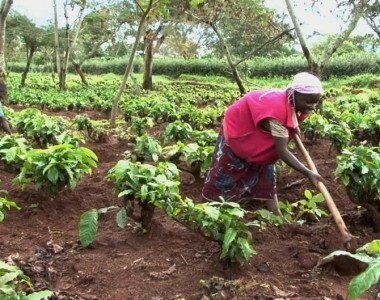 Since early 2000s, Formasa has displaced and possessed land for over 1000 native families measuring 10-square mile covering thirteen (13) villages including; Kaziragoma, Nakasozi, Butoro, Kyedikyo, Kamagwa, Kicucuulo, Namayindi, Kiguluka, Kabuwuka, Kaswa, Kitebi, Kyabbogo and Kisiigwa located in Maddudu and Butoloogo sub counties in Mubende district. 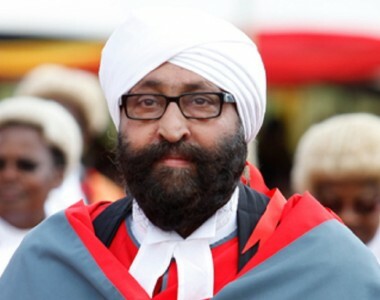 Presiding over the ruling, Justice Joseph Mulangira said the prosecution had adduced enough evidence and found all the seven community leaders guilty. 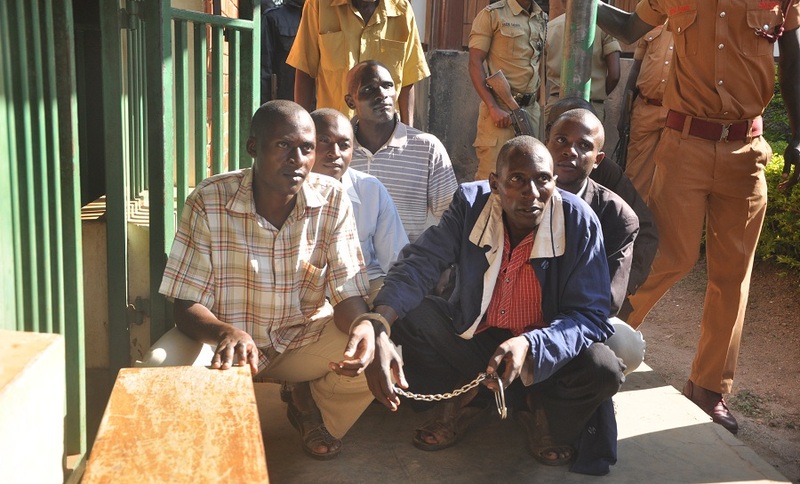 Those convicted to serve a 34 years of imprisonment include Ssemombwe Richard, a local council chairman; Ategeka Esau, a youth councilor at Maduddu sub country; Bukenya Godfrey; Ssebanenya Yona and Sserugo Sam and they were ordered to pay UGX 10 million in six months which was allegedly stolen from the deceased at the crime scene. UGX 10 million is equivalent to USD 3,800. 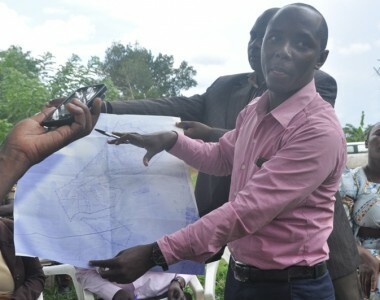 Before the arrest, the seven community leaders were very instrumental in mobilizing bonafide land owners (local communities) to demand for clear land demarcations and promoting a willing buyer and seller system.